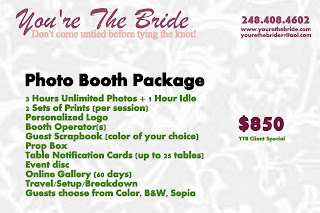 Detroit Michigan Wedding Planner Blog: Don't forget the Photobooth! 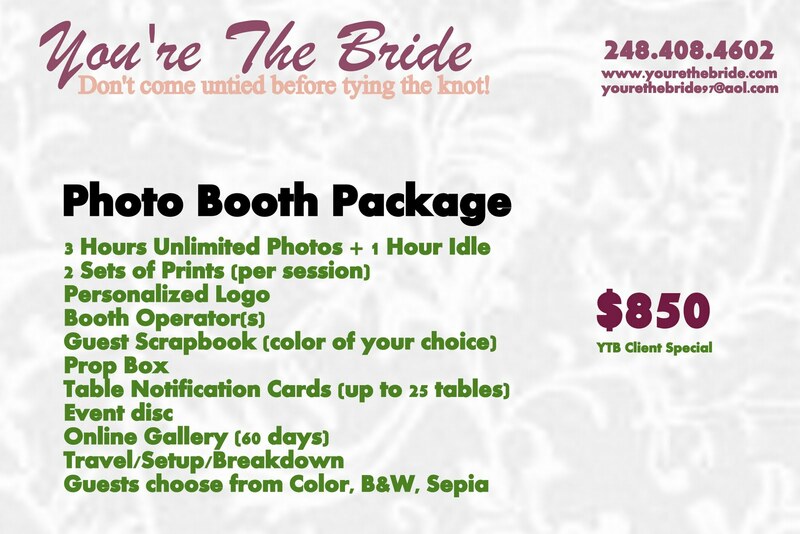 I know we have talked about photobooths before in a earlier post but I just want to inform new brides about this fun service if you haven't heard the buzz. You may be worrying “will my guests have fun?” Well you can put those worries to rest because of this new trend popping up at weddings and special events everywhere. This is a really fun service! What is it, you ask. It is a portable Photo Booth that can put a new swing on the boring guest book. Your guests can take pictures and have a copy pasted into a scrapbook-style guest book that they can then sign underneath. Many photobooth companies bring a prop box and the guests young and old really get into that. We will provide a full service experience for all events. Our traditional style, portable booth is professionally designed and produced.Whether you are hosting a wedding, bar/bat mitzvah, or corporate event, we want to bring fun for all of your guests. Want more than just the traditional photo strip? We can do that. Choose from our Duo Foto Strips, Duo Sticker Foto Strips (perfect for Guestbooks), Foto Cubes, or Artistic Portrait Creations. All packages are customized for YOUR event. If you are interested in booking a photobooth for your event give us a call at 248-408-4602. You're The Bride Wedding Wire Rated !! You're The BrideTestimonial from a recent bride! Having trouble finding the perfect dress? Cute substitutes for a veil . . .